Converted Clicks was introduced in 2001 and helped advertisers figure out which clicks directly led to people taking actions on their website, actions like making a purchase, signing up for email newsletters and the likes. This was all great, but fast forward 15 years later and technology has evolved. Imagine someone clicked on your ad on his mobile device during lunch time hours for example, and then went on his laptop when he got back on his seat and made the purchase on your site, the chain is broken as you can see, the converted click report will not capture this as a conversion, and given the huge rise in mobile adoption in all parts of the world, this is already an issue from a reporting point of view. This is where the Conversions metric comes in, as of September 2016, Converted Clicks will be completely replaced by Conversions. Assuming a user saw and clicked on an ad for your Nike running shoes on sale at 50% off at your retail store in Ikeja City Mall 😀 and hurriedly went to get it the next day in store, through advanced data processing, for some brands, Google can count the in store purchase as a Conversion, completely bridging the reporting analysis from online to offline. This (most certainly) wouldn’t be caught by the Converted Clicks metrics. Hopefully that gives you a better idea of why this old metric needs to go out, and the reason behind pushing the Conversions metric to the limelight. 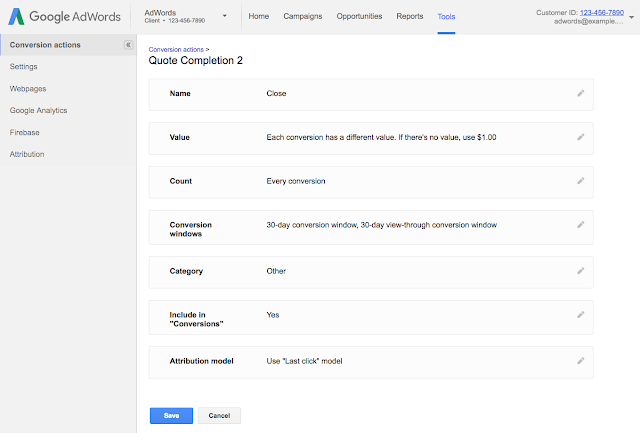 If you already use the Conversion metrics and also use the Conversions tab for bidding and reporting in AdWords, you’re good. However, if you use the Target CPA or Enhanced CPC (eCPC) bidding option with the bidding type set to Converted Clicks, you’d need to make the change. Do you work with the AdWords Converted Clicks metric? Or you already use the Conversions metric, let us know in the comments below.